Inspired by the popular Cold Steel SRK fixed blade, the SR1 offers the same highly functional tactical design in a compact folder. Andrew Demko set out to design a high-end tactical folding knife for military applications. The SR1 embodies his minimalist style with top-quality materials and a no-nonsense practical design. The SR1 blade is crafted from thick American CPM-S35VN steel that was made to put to work. 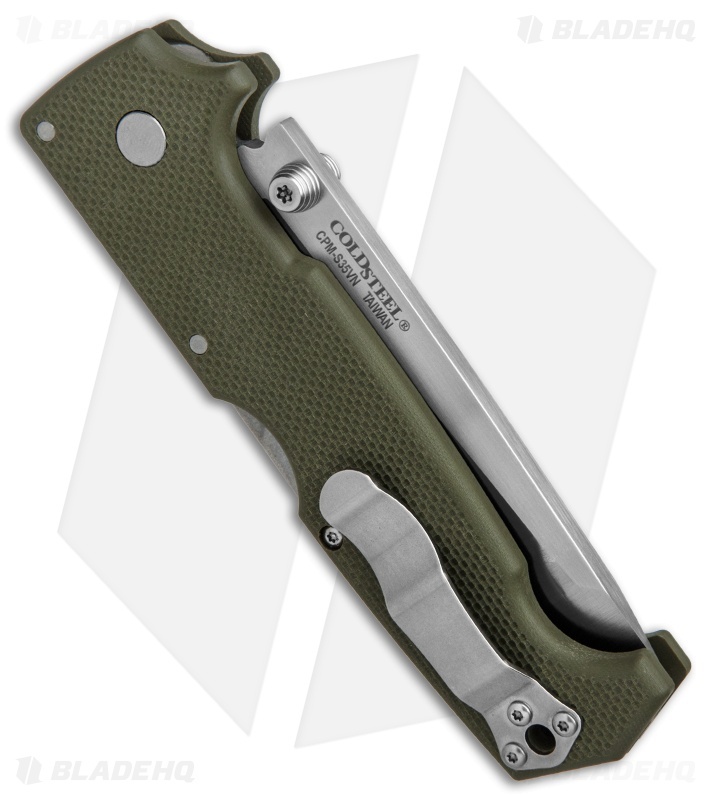 American-made G-10 handle scales further the appeal of this model and provide a reliable grip for bare or gloved hands. Nested steel liners offer a solid foundation with a Tri-Ad lock for secure blade lock up. Manage any tactical situation with the Cold Steel SR1 folding knife. 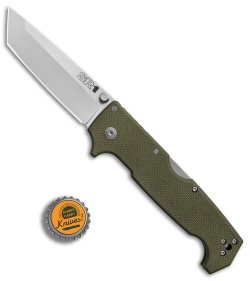 I bought this knife looking for a heavier, rugged durable tool to use at work. Given Cold Steel's reputation, it does not disappoint. You get a massive chunk of high quality steel in this knife which was shaving sharp out of the box. 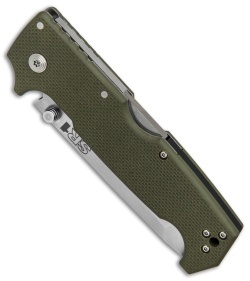 This knife can really accomplish anything you want it to, although I'd say it's more comfortable with bigger or harder tasks. Because of its weight though only find myself carrying it at work or outside camping. It's not comfortable enough to edc with casual clothes on. Because of its size it also comes across as a fairly aggressive knife. Whether that's good or bad in your opinion, it definitely gets looks.